Free Shipping Included! 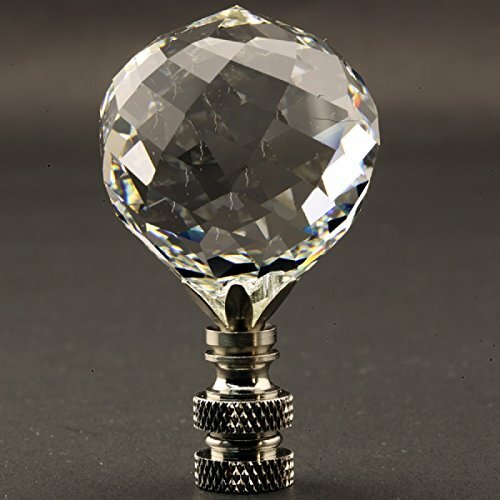 Swarovski Crystal Faceted Ball 40MM (1.57'') Lamp Finial with antique brass base finish - 2.5 inch high (Burnished Nickel) by JMB Holiday & Home at Result BD. MPN: Varies. Hurry! Limited time offer. Offer valid only while supplies last. Finely cut and faceted 40 MM (1.57 inches) Swarovski Crystal Ball with choice of Polished Brass or Burnished Nickel base. High Quality workmanship. Finely cut and faceted 40 MM (1.57 inches) Swarovski Crystal Ball with choice of Polished Brass or Burnished Nickel base. High Quality workmanship. Finial is 2.5" high. Base will fit most lamps. If you have any questions about this product by JMB Holiday & Home, contact us by completing and submitting the form below. If you are looking for a specif part number, please include it with your message.